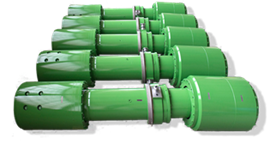 Established in 1886, MAINA Power Transmission has been operating for over 60 years in power transmission equipment for industrial plants and are capable of designing and manufacturing universal joints, gear spindles and gear couplings of large dimensions and very high quality. For over sixty years MAINA has been manufacturing gear couplings of all types and dimensions. The best quality of the raw materials and the highest accuracy of the machining, thanks to the latest toothing machines, enable MAINA to achieve the maximum load capacity in minimum space and the longest lifetime with minimum maintenance. MAINA’s diversified production range includes many types with capabilities for flange diameters ranging from ~ 100 mm to over 2500 mm. Standard production is fast and streamlined thanks to automated, robotic cells providing complete autonomy through various stages of turning/milling, drilling, and etching. Tailor-made solutions are developed on-demand to satisfy all possible customer needs in any variety of applications. 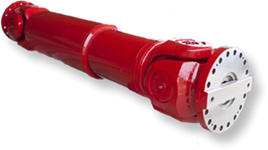 Rigid, fixed, high-angle, high-torque or high-speed; on mill stands, cranes, ships or pumps. For over forty years, MAINA has manufactured gear spindles providing high-quality solutions for steel and metal rolling mills.